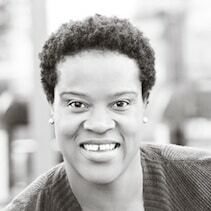 Edrice Simmons is a senior marketing executive with 15 years of experience developing and leading winning businesses, brands, and teams in the global and U.S. healthcare industry. She knows the key to record-breaking business success. Whether uniting stakeholders around a common vision, inspiring peak-performing teams, innovating solutions to drive customer value, or leading large-scale organizational change, she has achieved record-breaking success. Previously, Edrice’s long tenure with Eli Lilly & Company was marked by numerous performance-based promotions and above-and-beyond contributions that garnered many awards. For example, Edrice was recognized with the coveted Marketing Coach of the Year Award and Marketing Enabler Award.